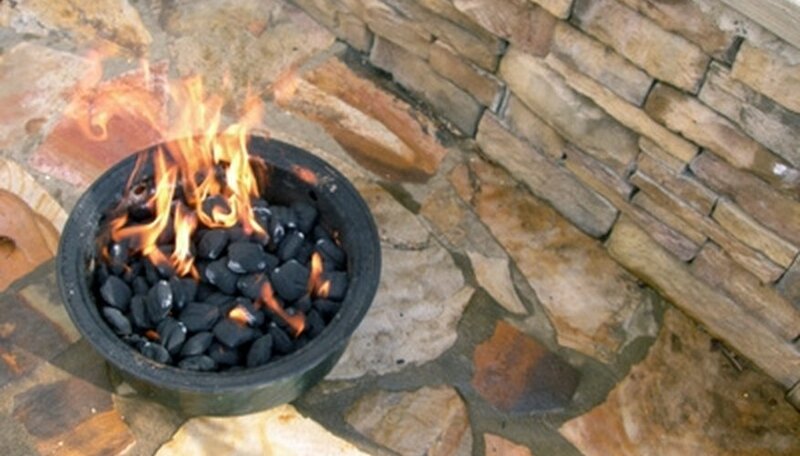 Installing pavers for your grill can give you an attractive grilling space for years to come. Hiring a contractor to do the job for you can be quite expensive, so doing the job yourself can save you hundreds of dollars if you are willing to put in a few days worth of work. You can choose from a variety of shapes and sizes for your pavers, but plan on laying enough pavers to set your grill on top of at the very least. Spray the ground with spray paint to mark off the border for your pavers. Before you begin digging, set your grill on top of the space you marked off as a "test run." Adjust the size of your border depending on your preferences for how big you want the paver area to be. Excavate a hole that is 8 to 10 inches deep into the ground. Install the flexible edge material. Line the edge restraint along the inside border of the area you excavated. Pound metal stakes through the holes in the edge restraint and into the ground to secure the edging. Pour a 3-inch layer of gravel into the bottom of the excavation area. Slam the hand tamper onto the gravel repeatedly until you have compacted it thoroughly. Add a 1-inch layer of sand atop the gravel surface. Drag a two-by-four across the sand until you have an even layer all the way across. Install your pavers. Start in a corner and work your way across, installing one row of pavers at a time. Tap each paver into place lightly with a rubber mallet, and leave 1/8-inch of space between each of the pavers. Fill the spaces between the pavers with sand, and use a broom to sweep any excess sand off the surface of your pavers. Set your grill on top of your new pavers, and position it to your liking.